So you’ve purchased a container and are planning to use it as a shipping or storage unit and, of course, you want to make it as secure as possible. But with most standard containers only having doors on one end, they make an easy target for break-ins and thefts, especially when left unattended. In an ideal world, a simple padlock would be enough protection. Unfortunately, it’s not always the case. To add an extra layer of security to your container, we at Container Space, highly recommend installing a lock box. 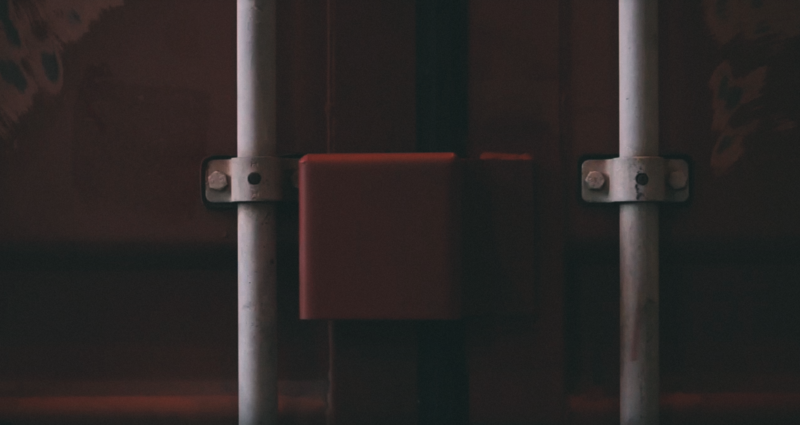 Shipping containers are super strong by design but exposed locks can be defeated by force with bolt cutters, crowbars, and other cutting tools. A container lock box is a steel box that works as a protective shield for your padlock, preventing prying attacks by making it accessible only from the underside. While new shipping containers are equipped with lock boxes, used containers generally don’t come with one and often require having it added as a container modification. 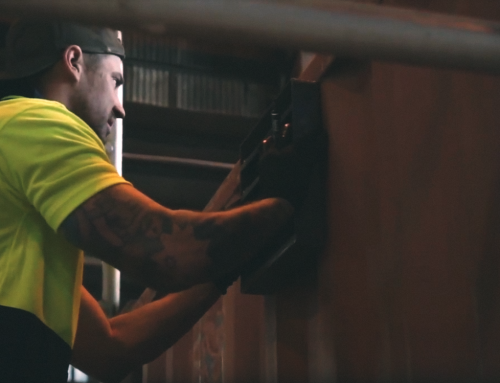 Installation is pretty straightforward—with the best option being a weld-on lock box. Lock boxes welded on to containers are so secure, it’s nearly impossible to pry open or cut through. For proper installation, however, you need to be where welding equipment is easily accessible—either at the container yard, or via a mobile welding truck. Installing it at the yard is the better of the two options, and what’s even better is that it can be done in just a few steps. Centre the lock box over the closed container door at your desired height. Using a texta permanent marker, trace the outline of the lock box to mark the area. Grab an angle grinder and use it to sand and buff the area and create a seamless finish. Make sure to wear your helmet and protective gloves for protection. Using a welder, secure the left lock box component to the left container door. Once in place, put the right box component over and weld it onto the right container door. Make sure to wear proper safety gear (gloves, helmet and jacket) before doing any welding to prevent sparks from burning your eyes and skin. Grab the angle grinder to smooth out welds. Apply masking tape around the edges of the lock box to protect areas, which are not to be painted. From there, use a spray gun to paint your lock box the same color as the container door. This will help achieve a clean, strong security feature. 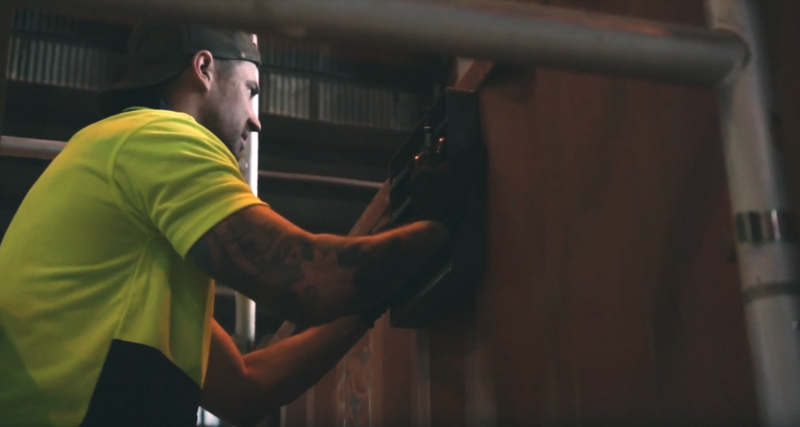 Lock boxes are guaranteed to keep your shipping container safe and secure. They are large enough for your key and padlock but small enough for anyone to tamper with it. 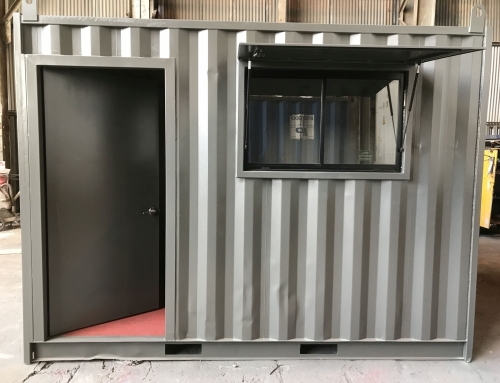 If you would like to add an extra layer of security to your shipping container, let us know and we will fit one before delivery. For more advice or information, get in touch with us today or call us at 03 9314 5589.